19.08mm x 21.69mm / 0.751in. x 0.854in. Happy Anniversary Heart Charm. The height is 7/8 of an inch. Captivate your loved one and celebrate your special day with this Happy Anniversary Heart Charm. This elegant item is a wonderful gift for her. 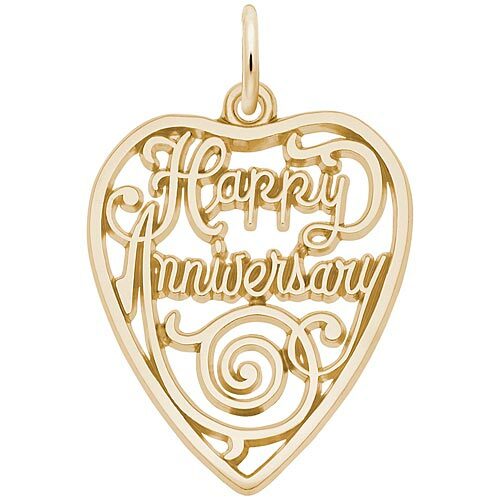 This anniversary charm can be placed on a necklace or will be a wonderful addition to a Charm Bracelet. All Rembrandt Charms are available in either silver or gold.